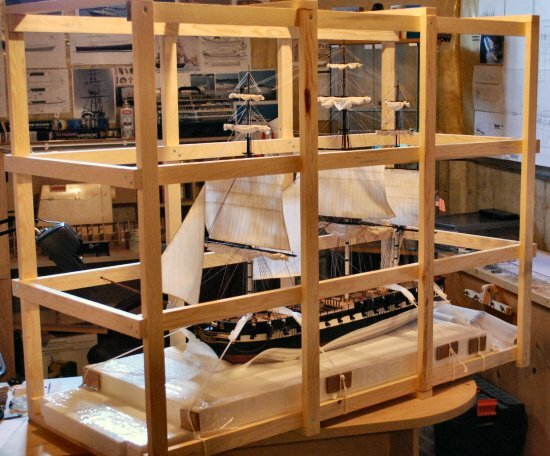 Sailing ship models will have their lower hull encased in Styrofoam, around which a sturdy wooden frame is built, such as the one shown below. 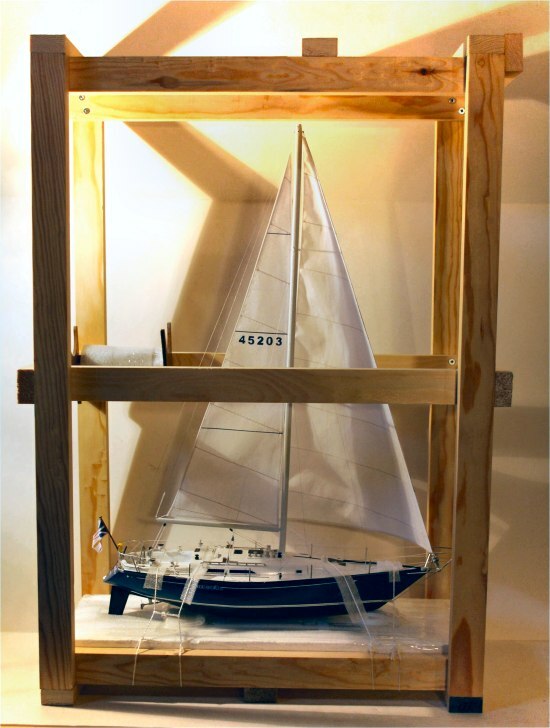 The model is strapped securely to the frame and base. The frame is then double-boxed, with foam (popcorn) chips between the outer and inner box. Large models should be crated to assure safe transport and arrival.